Pellevé precisely heats the deep layers of your skin using advanced radiofrequency energy without damaging the epidermis, or top layer. The heat causes the existing collagen in your skin to contract and tighten*. Also after the treatment, your skin will start to produce new collagen. The result is an improvement in skin tightness and wrinkles you can see and feel. Pelleve is an effective wrinkle reduction and skin-tightening treatment that really works. Bothersome smile lines, creases, and wrinkles around the mouth, including smoker’s lines, can all be improved with Pellevé RF. Smooth out eyelid wrinkles and crow’s feet to refresh those tired eyes. PelleFirm® heats, massages, and smooths skin to temporarily reduce the appearance of cellulite within problem areas such as buttocks and thighs. Q:How long does the treatment take? Treating the entire face takes anywhere from 45–60 min. If you would like a specific area treated (e.g., the delicate areas around your eyes, forehead, or smile lines) your procedure could be completed in as little as 30 minutes! 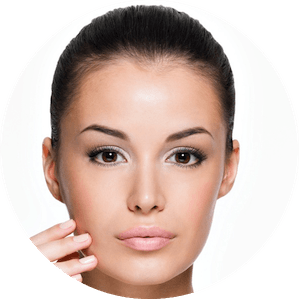 Because the collagen rebuilding process continues to work days, weeks, even months after your treatment, a series of treatments are required for the best results. Please discuss with your provider the best plan specific for your goals! Q:Is Pelleve right for me? Pellevé is ideal for men and women with all skin phototypes. Unlike most laser treatments, Pellevé is gentle on the skin and is safe to use all year round, regardless of tan skin. Please discuss with your provider to determine if Pellevé is right for you. Q:How many treatments are recommended?